So, you’ve invested in the Inbound Marketing methodology - and you’ve always chosen HubSpot as the tool to help drive your business growth. Great! Now it’s time to make it work. With so much to consider, and so many tools within one platform, it’s easy to get distracted and not concentrate on the highest priorities. If this is happening, or has happened to you, there are many possible reasons. It could vary from lack of knowledge of the HubSpot tools or Inbound Marketing in general, to a lack of time or resources. In any case, don’t fret! There are hundreds of HubSpot partners worldwide helping HubSpot customers all over the world make the platform work for them. From helping to build pages and post blogs, all the way through to complicated integrations. 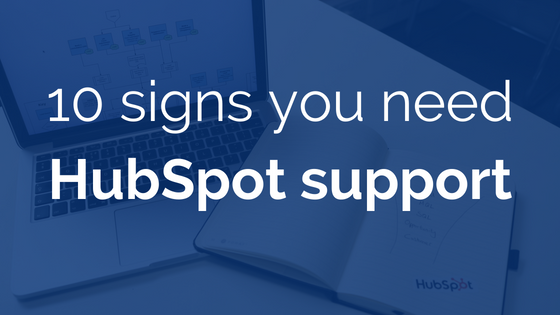 This blog will identify 10 telltale signs that you could use the support and help of a HubSpot partner to turn your portal from a static tool into a lead generating machine. This is one of the first things you should analyse when looking at the outcome of your Inbound efforts. Your website should be generating visitors and leads while you sleep. Your website is the only employee you have that works 24/7 and you should be making the most of it. In this day and age, your website is your most important sales and marketing tool and can drive your lead generation activity. It needs to be your top priority if you want to generate high-quality leads that will become your customers in the future. But first, how do you get people to find your website? Your website traffic not increasing on a monthly basis might mean you’re neglecting it. The first sign of Inbound success is an increase in website traffic. An increase in website traffic typically results in an increase in the number of leads generated. If your website traffic has not increased, neither will your chances of generating leads - this means less customers and, you guessed it, less profit! So, if the number of visitors to your website has not increased, then you might need to be more proactive in keeping your website updated. In terms of what content you should be creating and in what format, it all comes down to your buyer personas - who they are and what they are looking for. Let’s assume you’ve dedicated time to creating new content, new web pages, blogs, and other formats of content to drive interested people to your site. However, you still aren’t generating new business enquiries and leads. You get frustrated and think: “This isn’t working!”. This could be due to a number of reasons. A main reason for this is the content you are creating and offering to your target audience isn’t relevant or helpful to them. Do you have a lot of content that simply outlines the services or products you offer? This might be okay for those ready to buy straight away, but not everyone will be aware of their need for your products and/or services. So, the way for these people to find you organically, is through producing useful content that mentions issues they’re experiencing. Then, for people considering the various options they have for solving these issues, you should provide them with information about solutions available to them. Think of the whole Buyer’s Journey. How many leads are you generating based on your web traffic? HubSpot will show you the conversion rate for website visitors to new contacts.. Your goal should be to continually improve that conversion rate using premium content, calls-to-action(CTAs) and landing pages effectively. It’s hard to start working on something when you don’t fully understand it. Not to mention it would look like a bad investment on your part. But with a tool as big as HubSpot, it’s completely understandable that you aren’t fully aware at first of where things are and how to use them for the greater good of your business. However, if you have had HubSpot for months and still find it hard to create an Inbound Marketing campaign with HubSpot or you haven’t launched any successful ones, this is a clear sign you could use some help from a HubSpot Partner. We run monthly one and two-day HubSpot training sessions which you can find more information on here. As mentioned previously, time is required. You need to be able to invest time to create a successful campaign. But what if a lot of time is wasted? Yes, building various website pages takes time - but if it takes you four hours to build a landing page (+ the thank you page, form or follow-up email) - you probably need to spruce up on your HubSpot knowledge. Now, four hours is just an example and probably a bit over the top, but in principle, it shouldn’t take more than 30 minutes to complete a task such as creating a landing page - particularly if it’s not your first one. A successful Inbound Marketing campaign involves many parts. It includes website pages, email marketing, workflows, social media and time spent optimising your website for search engines. Inbound has proven to work time and time again so if you’re a B2B company, chances are there is a way for you to increase your revenue massively by implementing a powerful Inbound Marketing campaign. But apart from proactivity and talent, a lot of time and effort are required for this process to lead to success. So, if your Inbound campaigns aren’t resulting in high numbers of business enquiries, it’s probably time to enlist experts to build out and launch campaigns for you. You should have the numbers and statistics for all of the above, and it should also be accessible (i.e. it shouldn’t take you three hours to get the numbers). Do you or an employee at your company know these numbers in relation to your business and can they find them quickly in time for a new report? There needs to be a clear way of measuring how many visits it takes you to generate leads, how many of these leads are real sales opportunities and how many of these leads become customers. It will give you an overview of how many of your visitors are converting to leads and how many of these leads are actually relevant to your business. This will help you see the effect of your content creation efforts and what direction you should take next to produce better results. If you’re having trouble, we can help you to build lead management processes to ensure your database is organised and up-to-date. If you struggle with segmenting your contact database to target contacts that match your various buyer personas, you are not making the most of what HubSpot enables its users to do. By segmenting your database by using filters, lists and workflows, you can target the right contacts with the right information at the right time. Segmentation is at the core of every effective marketing campaign. It allows you to target your contacts according to where they are in their buyer’s journey. Workflows are a very important component to marketing automation. They help a marketer to be more efficient - they help to generate, qualify and move leads through the buyer’s journey. Workflows can be used to trigger events such as when an email should be sent and what should happen when a contact’s property changes but truly, a short summary can’t do justice to how much can be done using them. For instance, you can use them strategically to improve your sales process and more specifically, your marketing to sales handover. Without clear lead definition criteria and lead management through workflows, you are losing track of where your leads are and when they should move to sales. All this means wasted time and lost business enquiries - none of which you want! HubSpot is wonderful for collecting valuable data that can help you make smarter marketing decisions in the future. It will show you what is working and what isn’t, allowing you to identify what to focus on, what to avoid and, if you’re extra observant, it can enable you to figure out which part of a campaign led to a specific outcome. 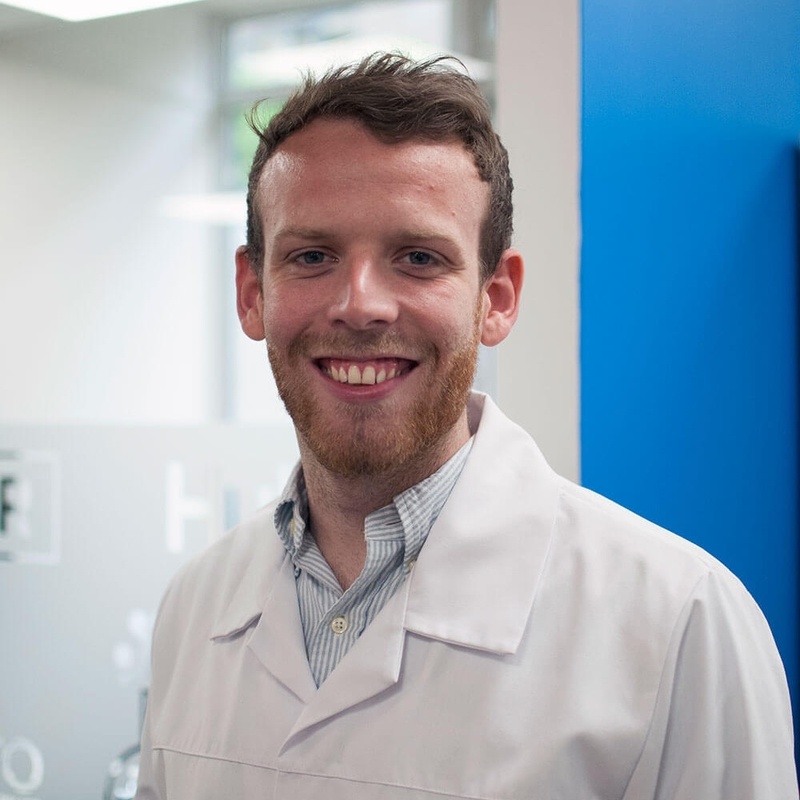 So, you can see why analysing your Inbound Marketing can bring so much value to you. For example, you should be regularly analysing your conversation rates. In this instance, this means weekly and monthly checking of how many people are downloading your content offers and subsequently converting to leads. Do they fit the criteria for one of your buyer personas? Looking at these reports can unlock many valuable insights, such as what topics are resonating with your audience. With this information, you can create more of what your prospects and customers want to see which will attract them even more to your business. Why should you update your content? Well, let’s start with the main point: adding new pages to your website increases the chances of your business being found online. Google favours websites that are updated on a regular basis. To leave your website untouched for months is to leave your website to perish. Don’t neglect it! New, fresh, relevant content is key. This is the principle of a Growth-Driven Design. If you want your website to grow and rank highly, you need to add new content to it regularly. So what does this generally mean? Well, you should at least publish one new blog post every week - this should be manageable even if other things get in the way. Every time you publish a blog post, you’re creating a new page with a unique URL. This increases your chances of ranking high on search results. The more consistent you are, the bigger your content marketing return on investment (ROI) will be. Investing in HubSpot is a great idea. Now that you’ve invested in the tool, you should expect to see great results. If you’re struggling with any of the above, just remember that there is support available to you and we can help! If you’re interested in finding out how we can assist you, we can provide you with a free consultation.